For the travelers who overnight and have time to explore other sites around Ephesus, we recommend to visit the following sites. They are all nearby Ephesus. 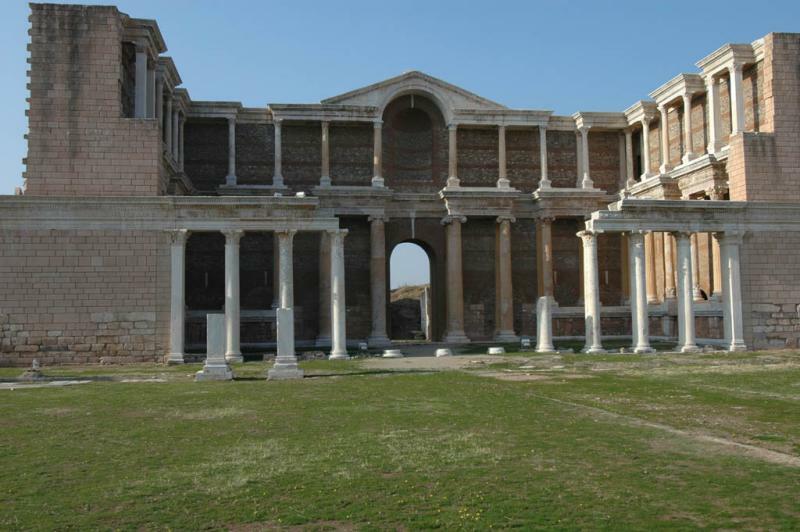 Some can be added to private Ephesus tour, some can be visited in a day trip from Kusadasi, Selcuk, Sirince or Izmir. All the below sites, are recommended for travelers who have been to Ephesus already. Ephesus is the main highlight of the area. Some of the sites can be combined with Private Ephesus Tours. For tour enquiries and/or questions please do not hesitate to contact us. 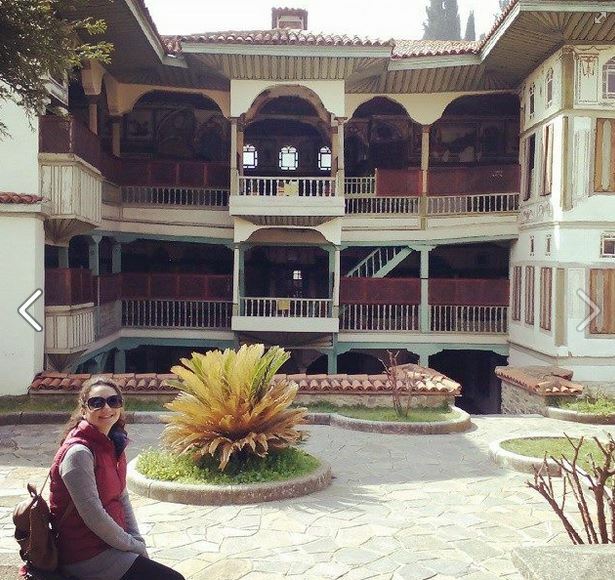 For the travelers who will be staying in Kusadasi, Sirince or Selcuk, we offer 3 days tour of western Turkey tours. The word cini is used to define pottery art during Ottoman period. It became popular in 15th century. The word Cini is derived from the word Cin, which stands for China. The porcelaine that are introduced by Chineese tradesmen were combined with traditional Ottoman arabesque with Chinese patterns. Cini art started in the town called Iznik with cobalt blue under a colourless lead glaze tile and pottery products. In the 16th century the decoration of the pottery changed in style, Additional colours like Turqoise, Green, Purple and Red were added. Ephesus and nearby ancient cities like Miletus have been known with pottery making for many centuries. This art from is trying to be continued by a local entrepreneur nearby Ephesus Ancient City. Today cini is one of the dying art forms of Turkey. A visit to Efes Cini workshop can be added to your private tour of Ephesus. Selcuk is the modern name for Ephesus. A small agricultural town, having a population of 30.000 people. Every week on wednesdays and saturdays there is a farmers market in Selcuk town. You can enrich your private Ephesus Tour with a stop to this farners market where you can enjoy to see local fruits, vegetables, spices, dried fruits.... During the visit a walk through Selcuk town is worth doing. You would see the aquaducts from Roman times and storks (Between April - August). If you miss Selcuk market, there is a similar farmers market in Kusadasi which is held on Tuesdays and Fridays. Located 6 miles away from Selcuk town, popular village. First inhabitance dates back first century. The early christians from Ephesus escaping from the persecutors founded the village. This was a Greek Orthodox village till 1924. Was named as "Cirkince" meaning the ugly for while. The word Kirazli is derived from the word "kiraz" which means "cherry" in Turkish. Kirazli refers to the place that has cherries. 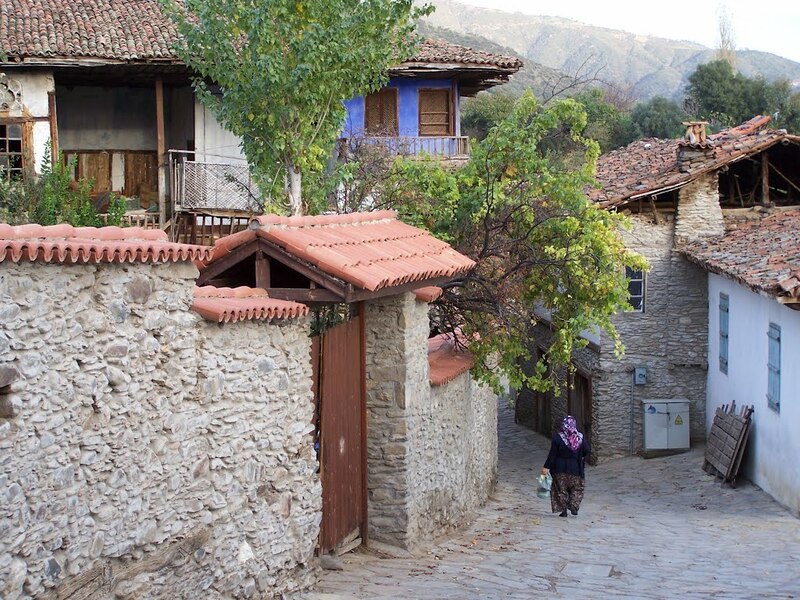 A traditional and non-touristy Turkish Village, 10 km away from Kusadasi. Surrounded with Cherry Trees, Fig Trees, Olive Groves, Tobacco Fields... We offer private tours of Ephesus with a traditional Turkish breakfast at Kirazli Village from Kusadasi. During our ptivate Ephesus tours, for our guests who are interested seeing how the silk is extacted from the cocoons and how the Turkish handmade carpets are made. We take them to workshops nearby Ephesus where they enjoy learning about the Turkish culture besides the ancient city of Ephesus. Turkey is the second largest silk producer of the world. Seeing how the silk is obtained with the ancient techniques is a very interesting opportunity for travelers. Silk is a natural fibre, The best type of silk is obtained from the cocoons that silkworms form by eating the leaves of the mulberry trees. According to some historians, silk threads were used to cut the marble in the Roman Times. Turkish carpets and rugs, whether hand knotted or flat woven are among the most well known hand crafted art works in the world. A dying art form in Turkey. After our tour, Denizhan gave us the option to visit three different factories but insisted on the one that make carpets. I was reluctant at first since I really was not interested in buying carpets, but I am glad he took us there. There we saw how they make silk (very interesting process) and how the carpets are made. The lady who explained to us the process of carpet making was very kind and knowledge. I am glad we went there because when we visited the Vatican, it really put into perspective the hard work and the time that it took to make the carpets and tapestries that hang in the Vatican. The big ones took seven years to make! They showed to us beautiful carpets and were very kind even though we were not interested in buying. After the sights, we had a wonderful lunch in the shaded garden of a Rug Making Site. We got to see how rugs were made and were given the opportunity to purchase handmade rugs. While some may find the sales pitch unsavory, I didn't. You must see it for what it is, the rug making industry is a part of their culture and with pride they offer their products for sale. If you are not interested, you are free to walk away. Then we were given a tour of an adjoining carpet weaving workshop. Denis explained that this was a government run facility to keep alive the skills of carpet weaving that are being lost in modern Turkey. We were shown how silk is extracted from silkworms and then woven into carpets.Brilliant! We were shown examples of carpets but again there was no hard sell! After leaving Ephesus, we went to Carpetarium, a community carpet weaving centre in Selcuk sponsored by the Turkish Government. We had a delicious Turkish lunch, followed by a demonstration of carpet weaving by some Turkish ladies. Our daughters enjoyed trying their hand at the loom. Afterwards, we were shown dozens of quality hand woven carpets and though we did not expect to purchase a carpet that day, the sale was not hard sell though there was an expectation that we would buy. The Seven Sleepers, commonly called the "Seven Sleepers o Ephesus", refers to 7 early christians who lived in Ephesus in the 3rd century A.D, in the time of the Roman Emperor Decius. This was the time of persecution to the Christains. 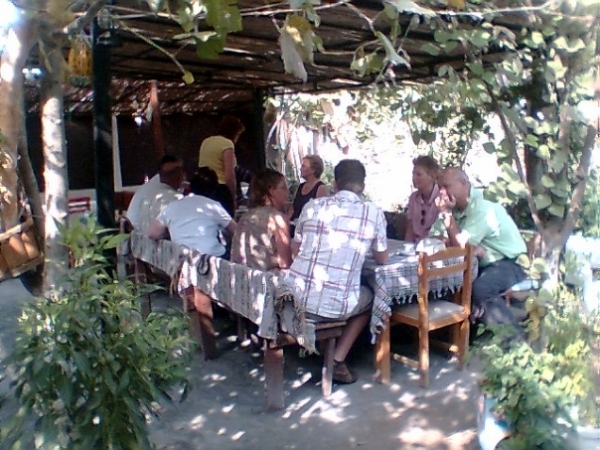 Camlik village takes 20 minutes drive from Kusadasi. 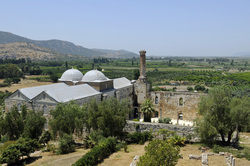 A visit to the Village can be added to the "Ephesus and Kirazli Village" Tour Program. This is an outdoor museum was opened in 1991. It has one of the largest steam engines collection in Europe, most them joining the museum shortly after being retired from service. The museum is perfectly located, a few minutes away from Turkey most famous historical site: Ephesus. It sits on the premises of the former Çamlık station. 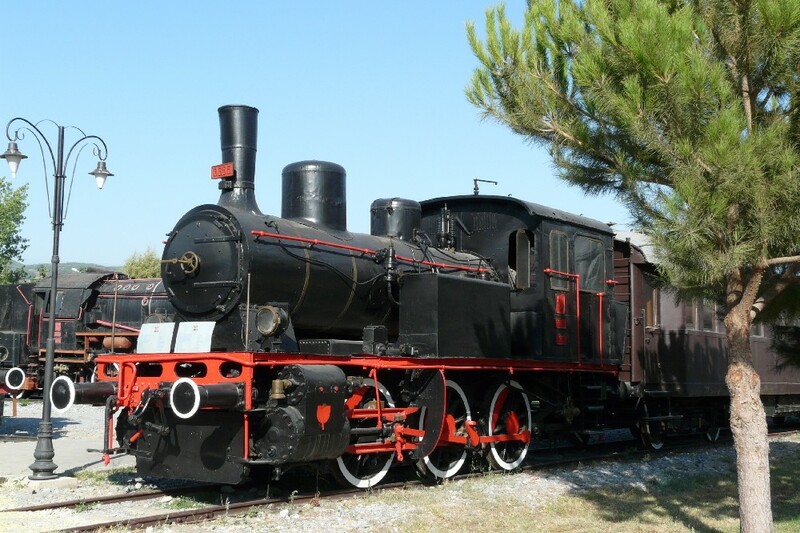 A visit to Camlik steam engine museum is recommended for travellers wo are interested in steam engines and railways. Tire Farmers Market every Tuesday! Tire is also known with a special 'Kofte' (Meat patty made of beef, lamp...). At a local restaurant enjoy Tire Kofte and also a special cheese desert made out of Lor Cheese (soft, uncured cheese like Ricotta) with black mulberry jam. Tire is also accesible by train from Izmir Basmane Train Station. It takes 1.5 hours with train to go to Tire frmo Izmir through several villages and towns. 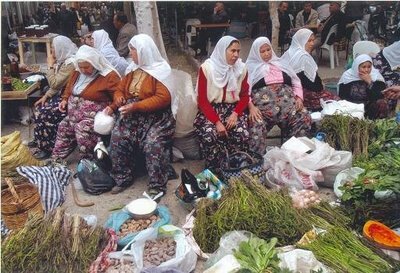 For travellers who have been to Ephesus and want to know more about Turkish culture Tire`s Tuesday farmers market is definately worth seeing. 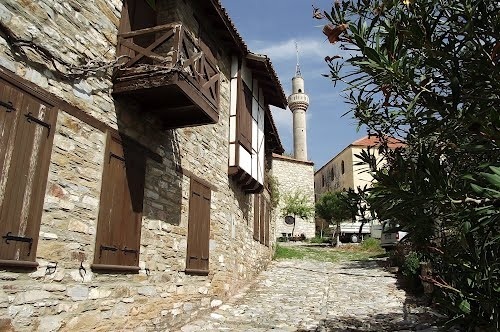 Visit to Tire Farmers Market can be combined with a visit to the picturesque town of Birgi. If you have any questions about Tire or if you would like us to design you a private tour to Tire Farmers Market and Birgi Town, please do not hesitate to contact us. Pamukkale with whıte lime covered terraces. Pamukkale is 3 hours drive from Kusadasi town. Right by the natural wonders the ancient city of Hierapoolis was founded. Today a unesco heritage site. Its natural beauty and historical background attracts many travellers. Pamukkale means cotton castle. There are two reasons why the area is name as cotton castle. One reason the white cliffs look like a castle made of white cotton, the other reason is that the area houses lots of cotton processing factories. Natural thermal springs which has high density of chalk inside formed glacier looking terraces on the areas where flowed for thousands of years. It is a unique site. Ancient Hierapolis was founded by Pergamum Kingdom. Due to the existance of thermal waters which healed people. Thousands of patients came to the area to get cured. The ones who were not able to be cured died and burried in the area. Today the site has the largest ancient necropolis. The number of thumbs like sarcaphaguses excavated is over 1600. The total number is expected to be over 3000. St. Philip the apostle lived in the city and martyred during the persecution time to the christians. This is a must see site for travellers. We operate private tours to Pamukkale with licensed tour guides from Kusadasi, Selcuk and Sirince. For more information please click here. If requested Pamukkale tour can be conbined with Laodicea or Aphrodisias. Laodicea is located right accross the ancient city of Hierapolis. It was once a trade city which was known with glossy black wool and eye salve trade. Mentioned in the Book of Revelation as the luke warm city. 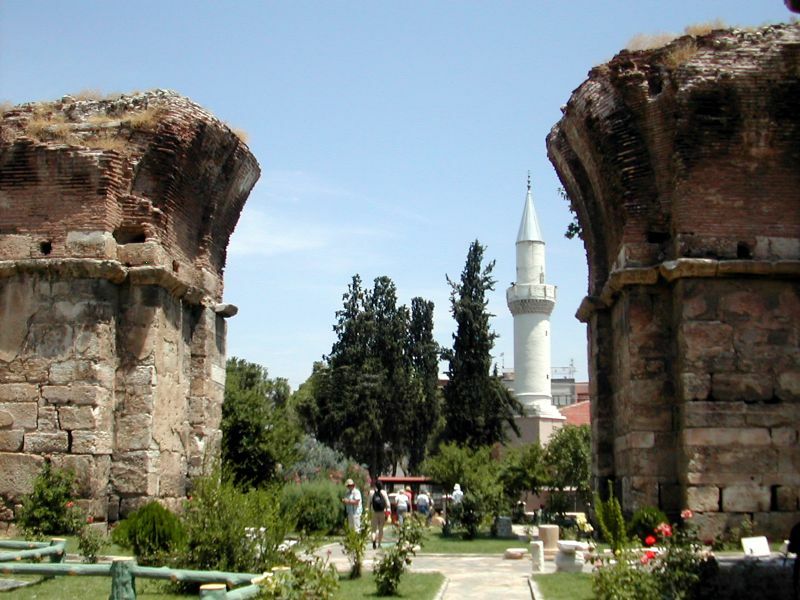 Recently Turkish archaeologists excavated a church dating to the time of Constantine. This is thought to be one of the earliest churches of the world. This site is recommended for biblical history lovers. Aphrodisias is 3 hours drive from Kusadasi town. 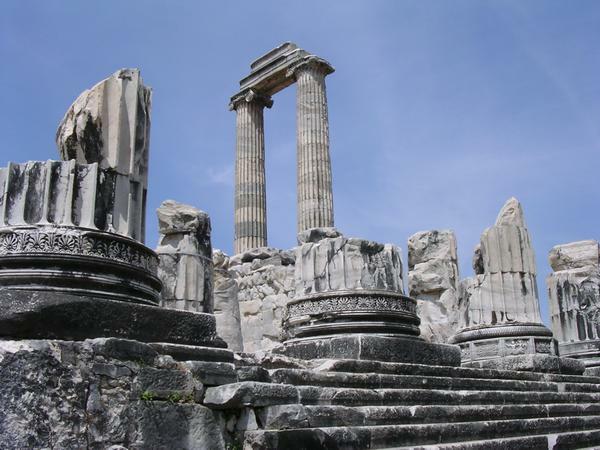 Aphrodisias is derived from the goddess named as Aphrodite, the goddess of love. An artisan city known with sculpturors who made sculptures and sarcaphaguses with the local white marble. You can see the best examples of marble works in this city. Pergamon in the third century BC was one of the most prosperous cities of the ancient world. Known today as Bergama. Located 100 km. north of Izmir. 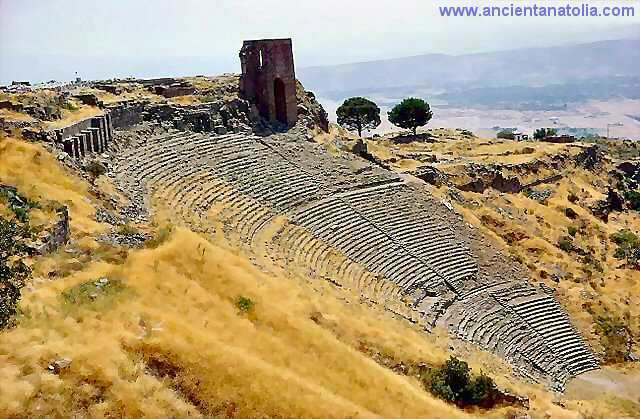 Attalid Dynasty assigned the city as a capital for their kingdom named as Pergamon Kingdom. Pergamon has also a biblical importance. Mentioned in the book of revelation in the new testament among the seven churches of asia minor. The city was known as the city where the throne of satan is located. Sardes is located 2 hours north of Kusadasi town. Once it was the Lydian Kingdoms capital. A very rich city where Lydians invented the coins in a river called pactolus. Today a 3rd century AD imperial gymnasium and the largest ancient synagogue stands in the site. The gymansium is reerected today. The mosaics in the synagogue are amazing. 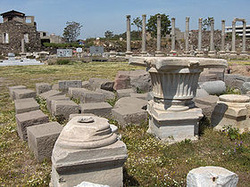 Sardes is mentioned in the Book of Revelation among the 7 churches of Asia Minor. 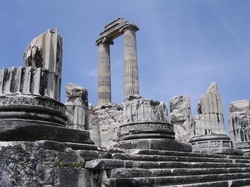 Priene is 40 minutes drive to Kusadasi town. An ionic city which was designed with Hypodamic system. Hypodamic system is the early form of grid plan system that we see in New York and Paris today. The streets were intersecting each other with right angles. In 334 BC Alexander the Great stayed in the city and funded for the construction of Athena Temple. A very steep city today. Travellers who would like to visit this site need to be in good physcial condition. 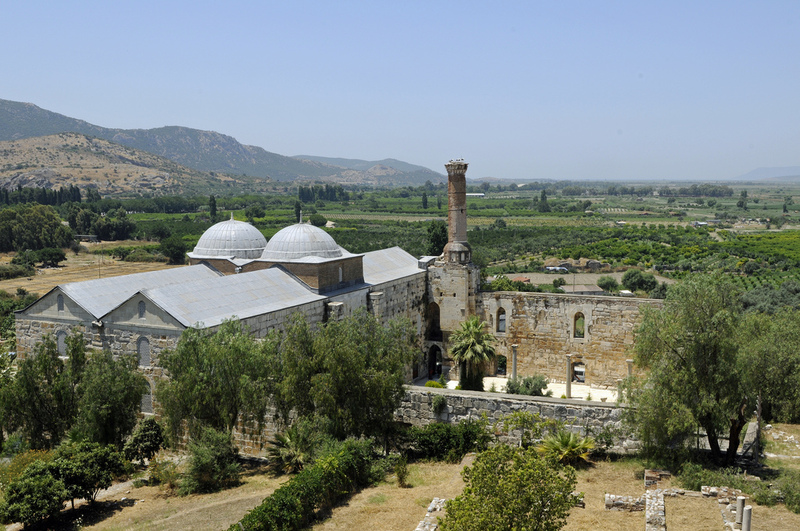 Doganbey village takes approximately 1 hour drive from Kusadasi. Doganbey is a former Greek village located by the ancient Mykale Mountains across the Greek Island of Samos, the birth place of famous mathematician Phytogoras. In 1924 there was an exchange of populations between Greece and Turkey. Miletus, once was the most prospereus city of Ionia. Had a population over 100000 people. It was known as the city of geniuses like Thales the philosopher, Hypodomos the civil engineer, Isodorus the architect and many more. Mentioned in the Book of Acts chapter 20. After the riot started in 56 AD against Paul. Paul was sacked from the city of Ephesus. After a while he travelled to Miletus and send a letter to the elders of Ephesus and gave them a farewell speech before departing to Jerussalem. 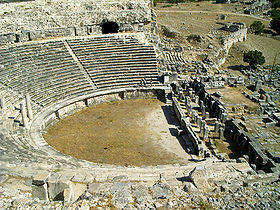 Didyma was the sacred site of the city of Miletus. It was 12 miles away from Miletus. A temple dedicated to Apollo was built here. The Temple was actively used as a prophecy center till 4th century AD. In the 4th century Christianity became the state religion of Roman empire. From ancient Smyrna there is not much left. The remains of the ancient city is under the modern buildings. Smyrna is known today as Izmir. Izmir is the third largest city of Turkey. Mentioned in the Book of Revelation known as the city of prosecution. The modern name of Thyatira is Akhisar. There are not many things to be seen from ancient times. All the remains are under the modern buildings. Recommended for travellers who are interested in Biblical history since the site is mentioned in the Book of Revelation. This city was a trade city which had many trade guilds. The city of brotherly love. Founded by two Pergamon Kingdom's brothers. Known today as Alasehir. A biblical city known as the faithful city in the Book of Revelation. Again there is not much to be seen. If you need more information or if you would like us to organize you a tailor made tour program including some of the sites above please contact us.